The Central Board of Secondary Education (CBSE) has issued a circular to all affiliated schools asking them to make all “necessary arrangements for students to view the programme collectively”. Doordarshan’s live telecast of the event starts at 6.45 am. 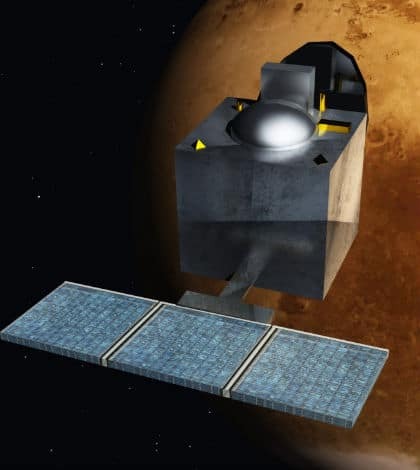 With the success of the mission, India has become the only country to send a probe to Mars in its first attempt. “It is a proud and rare event that has utmost importance… the programme will provide important scientific knowledge to students, whet their curiosity and enable them to cherish this rare scientific event,” a CBSE circular said. The HRD ministry had earlier instructed authorities at the Kendriya Vidyalaya Sangathan (KVS) to ensure live telecast of the Mars move on September 24 between 6.45 and 8.45 am. Justifying its instructions, the CBSE said it will inculcate scientific temper in the children. The schools, however, have found it tough to follow through. Several schools, where examinations are underway for senior students, have either made separate arrangements to watch a recorded version later or have had to forfeit the idea altogether. In some states, the circular with instructions reached concerned authorities only by the end of day on Tuesday making it extremely difficult for them to make arrangements. On its part, the HRD ministry circular had only “suggested” that schools make appropriate arrangements for the live screening of the Mars manoeuvre of the Indian Mars Orbiter Mission. It may be recalled that the HRD ministry had sent a similar circular to all states to ensure that students were in schools to catch PM Modi’s speech on September 5. Though the ministry circular had maintained it was not mandatory, it did seek feedback on attendance.